Set of 15 sorting circles in 3 colours. Circles have 25cm diameter which fold to increase versatility. Ideal for sorting and grouping activities. Develop strong analytical skills across the curriculum with these versatile circle organisers. Students can group items or concepts with similar and different attributes by making circles into a Venn diagram or other visual tool. 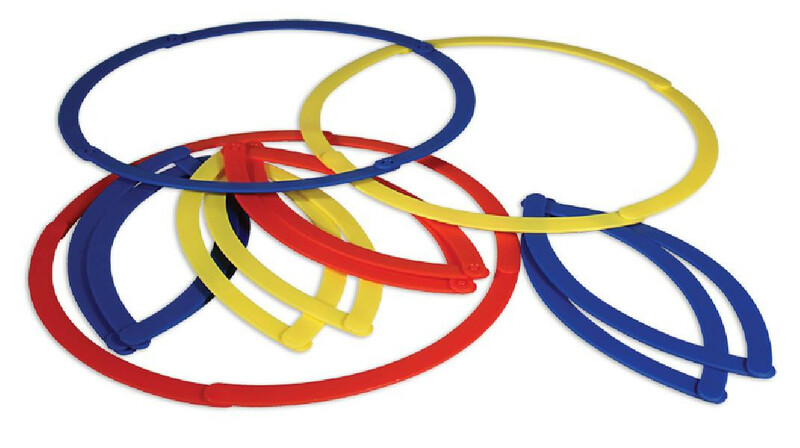 Set of 15 collapsible circles includes five each in red, blue and yellow.